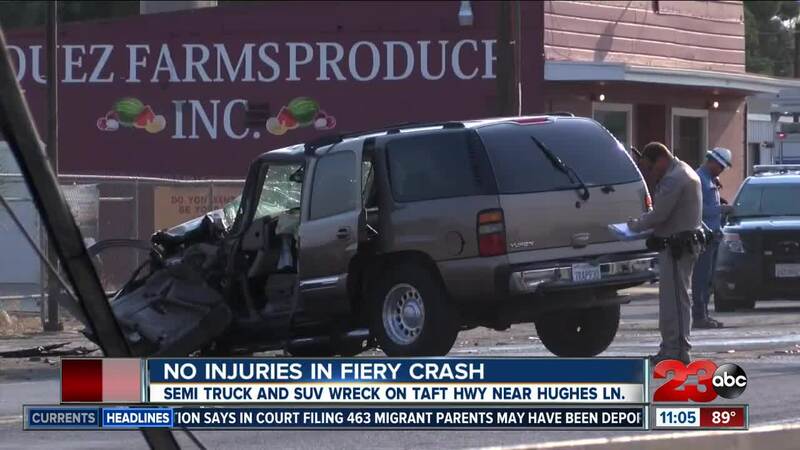 Police said that a semi truck was on fire after colliding with a Chevy Tahoe on Taft Highway at 5:24 p.m. Tuesday afternoon. According to police both victims survived the crash, with the driver of the semi truck getting out of the vehicle before it burst into flames. Both of the people involved were men, but have not been identified. It is unknown what caused the collision, but officials said that it is currently under investigation. We will update as more information comes in.